The Great American Steamboat Company is returning the 436-passenger American Queen steamboat to the Mississippi River. 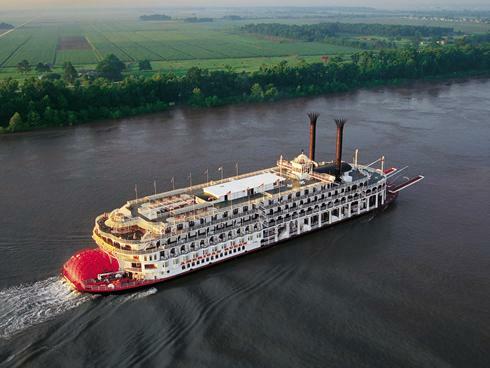 Resumption of the cruises on the Mississippi, Ohio and Tennessee Rivers begins April 13, 2012. The ship will depart from cities including Memphis, New Orleans, Vicksburg, St. Louis, Louisville, St. Paul, Cincinnati and Pittsburgh. Inspired by the steamboats of the 19th century, the American Queen offers a two-level Grand Saloon and a two-deck Grand Dining Room. Many staterooms have private verandas. Personal touches include freshly baked cinnamon rolls each morning, complimentary wine and beer with dinner, and evening turn-down service with a praline on the pillow. Voyages range from three to 14 nights, and fares start at $995 per person, double. The Steamboating Plus program offers a complimentary luxury hotel stay before or after the sailing, along with transfers, a welcome brunch and other perks. The line also offers the Total Financial Security Program, where 100 percent of fares paid are held in escrow accounts until the voyage is completed. For more information, call 888-749-5280.